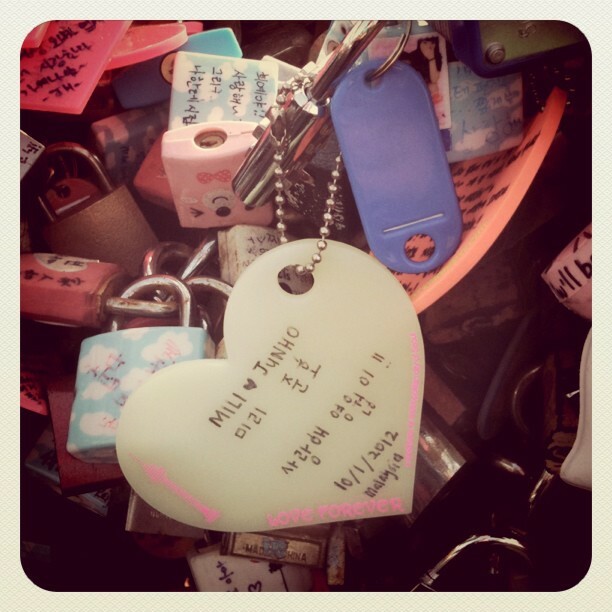 February | 2012 | .another part of me. 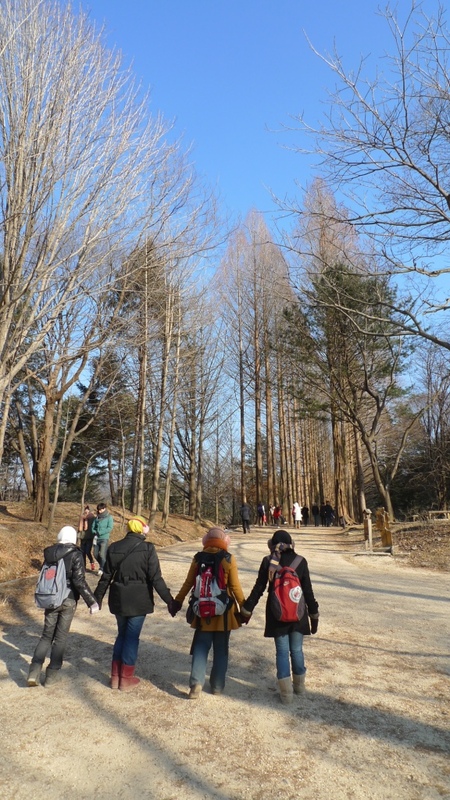 there are 2 options to go to nami island. you can either take a bus or subway. well ofc we took subway. this it could be a bit tricky if you’re not a train person (transferring lines, change lrt etc :p). but it’s not that hard either. just make sure to be alert on the announcement (on which station you have to get off). 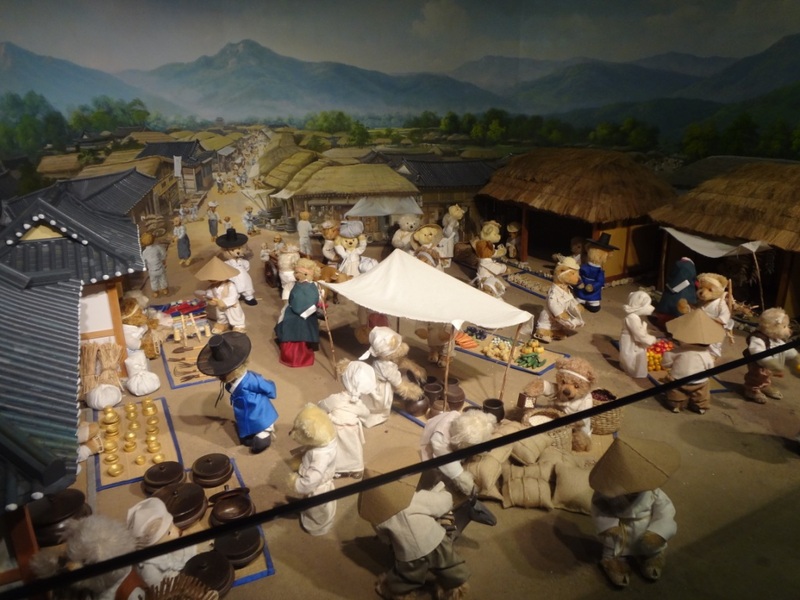 our journey was like euljiro il-ga –> wangsimni –> mangu –> gapyeong. yes transferring lines for 3 times hzzz. from mangu to gapyeong, it’s actually not subway. it’s a train. like ktm? which is an on-the-ground-train. so you’ll have the chance to experience the cold weather hhahaha. it’s so freaking cold while waiting for the train for almost.. idk maybe an hour at mangu station. oh we met a nice ahjussi at this station. at first we thought he’s a japanese (coz of his native accent maybe? lol idk) then paru tried to impress everyone by speaking in his basic japanese (like konichiwa or something) bahahahaha. 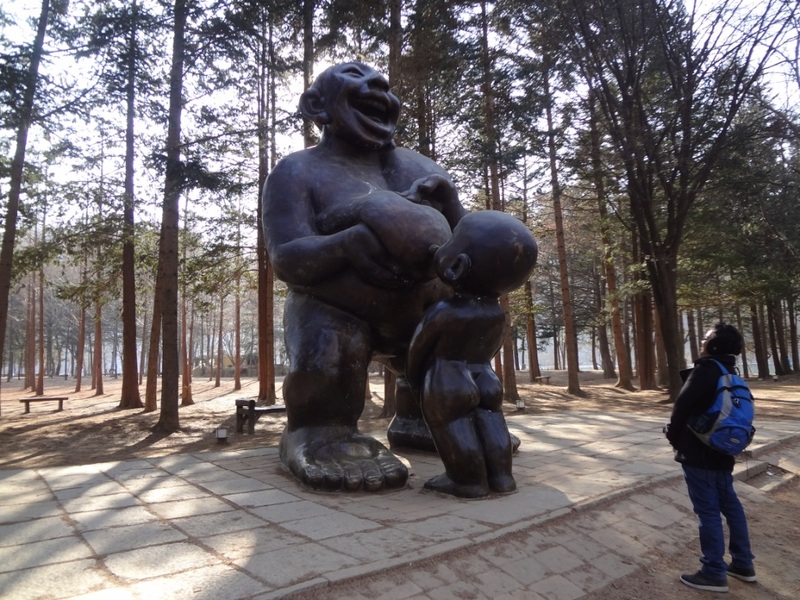 and the ahjussi went “ha? no! no! 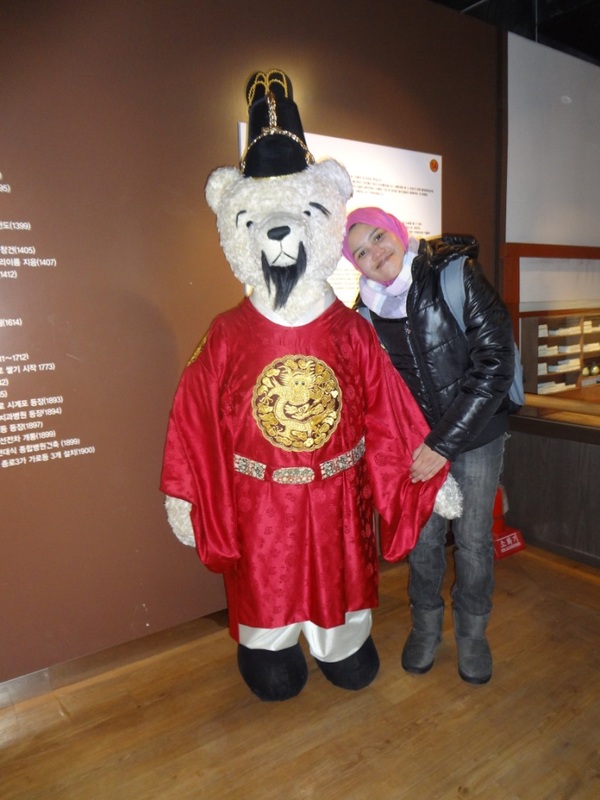 i’m korean! lmao that was funny kkk. 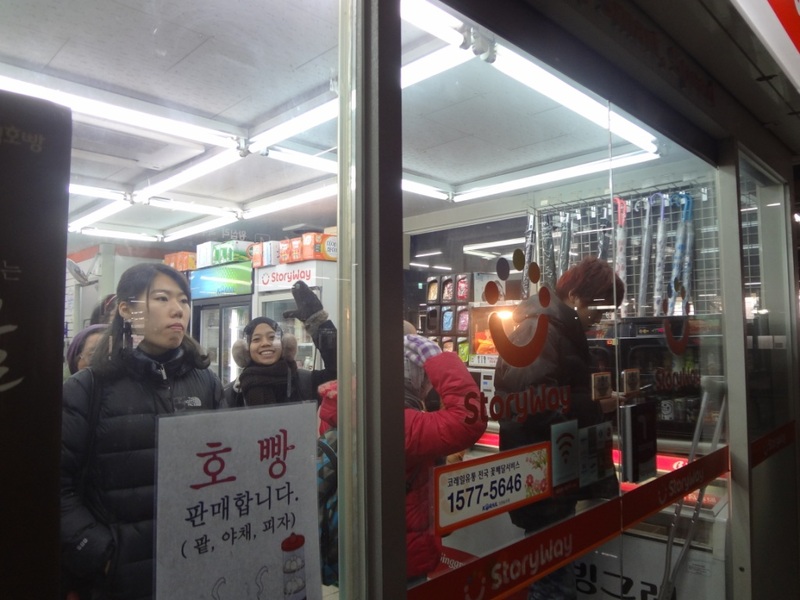 yani was hiding inside this convenience store coz it’s so damn freaking effin cold outside lol. 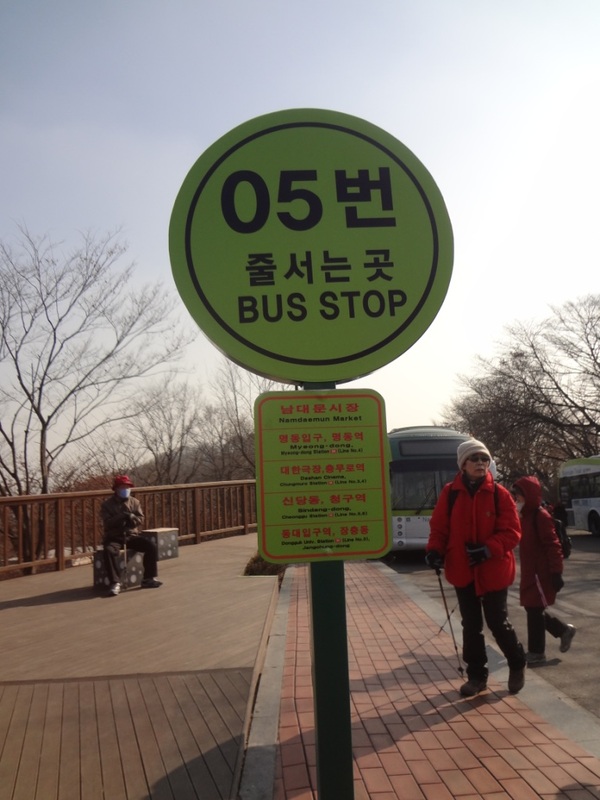 waiting for the train (기차) at mangu station in a super freaking effin cold weather haha. 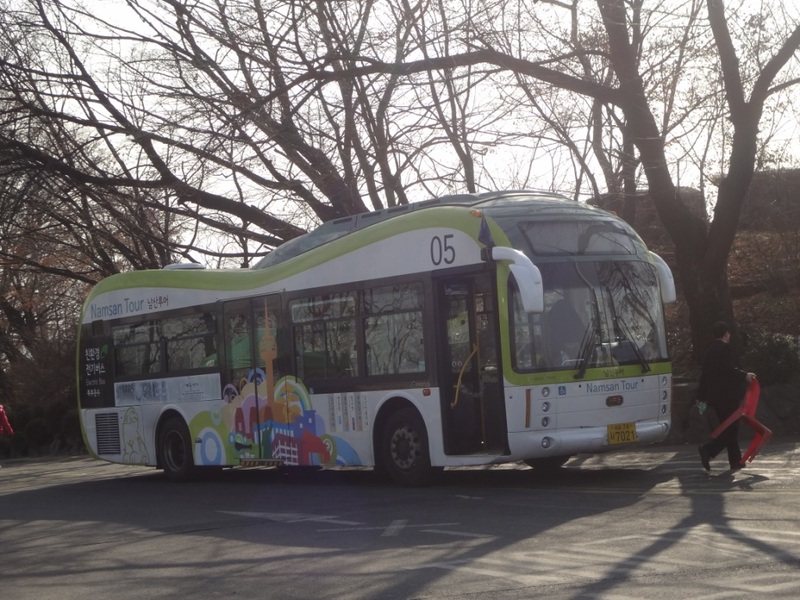 and finally we reached gapyeong station around 12pm. it was sunny, but still cold! then we took 2 cabs to go to nami jetty. 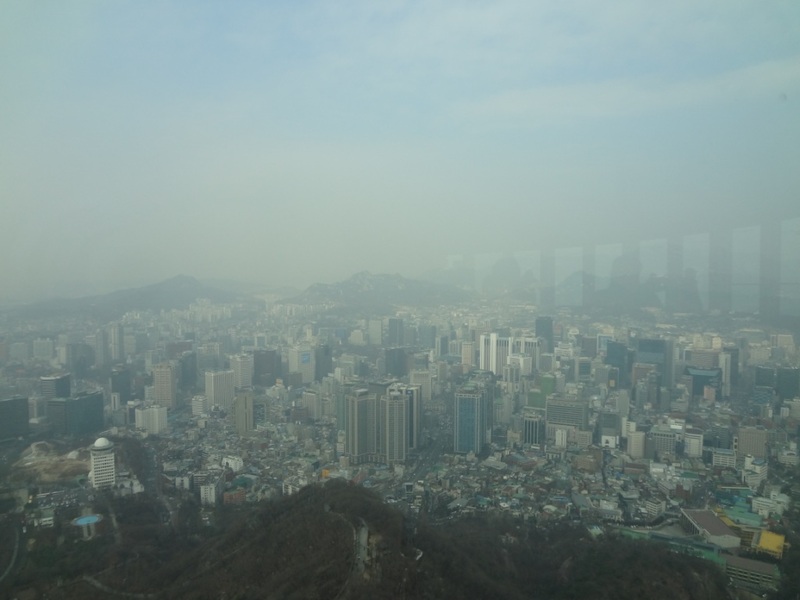 this 5 minutes cab ride costs around 2500 won per cab (they use meter so.. it depends). then we need to buy the entrance ticket at the counter (including the ferry fares). 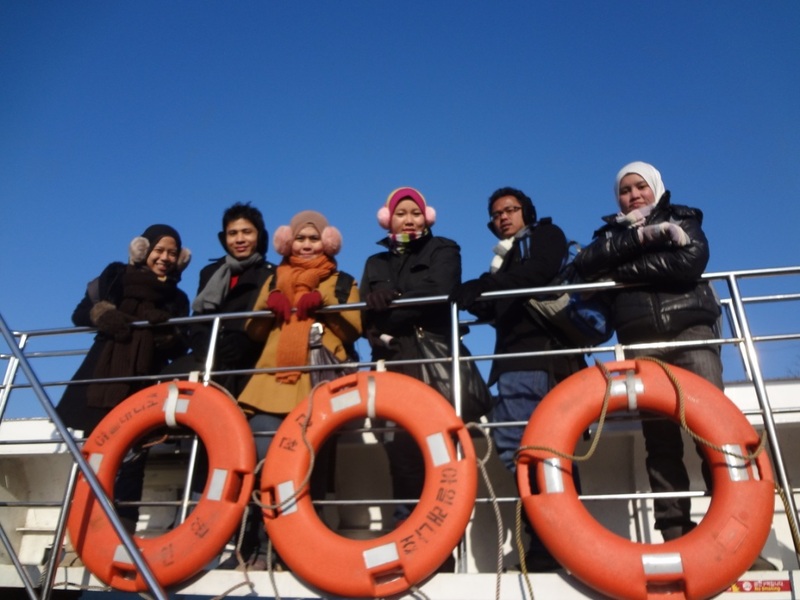 we met a group of malaysian tourists in the ferry lol. 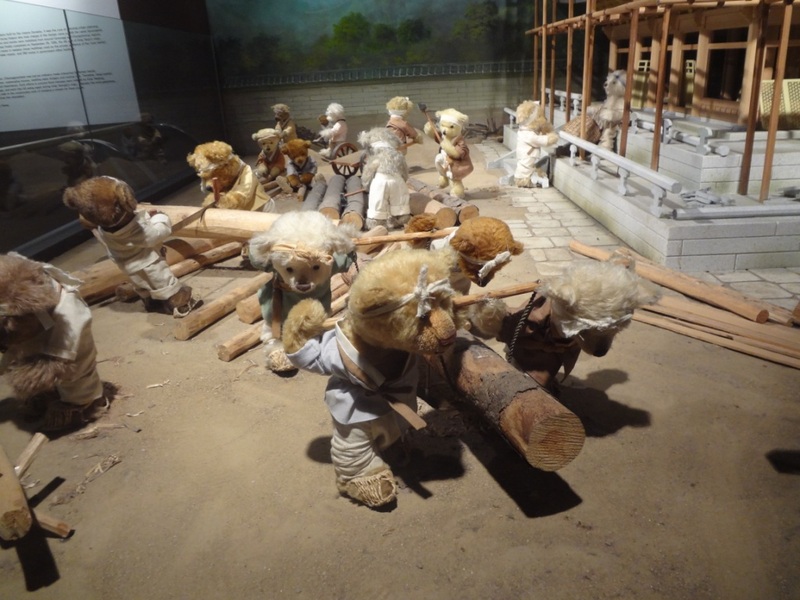 but they have a tour guide! 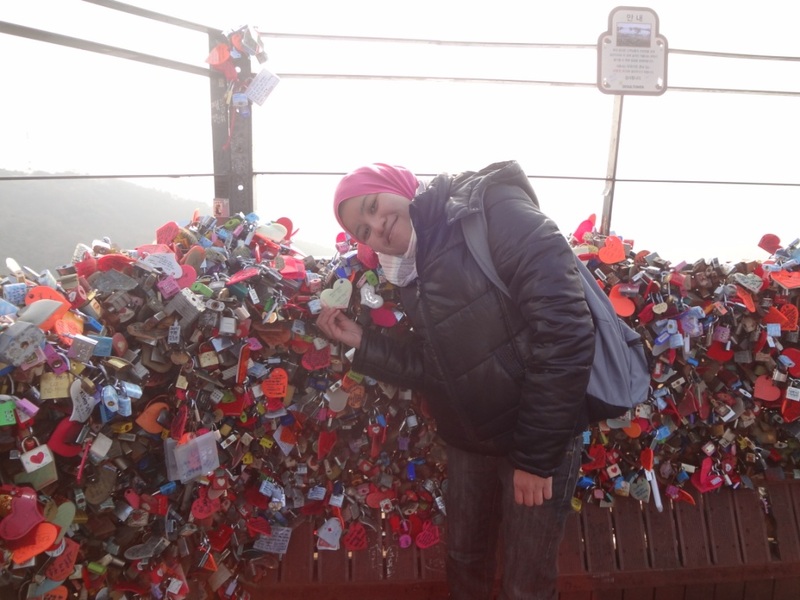 (a malaysian student who studied in korea). 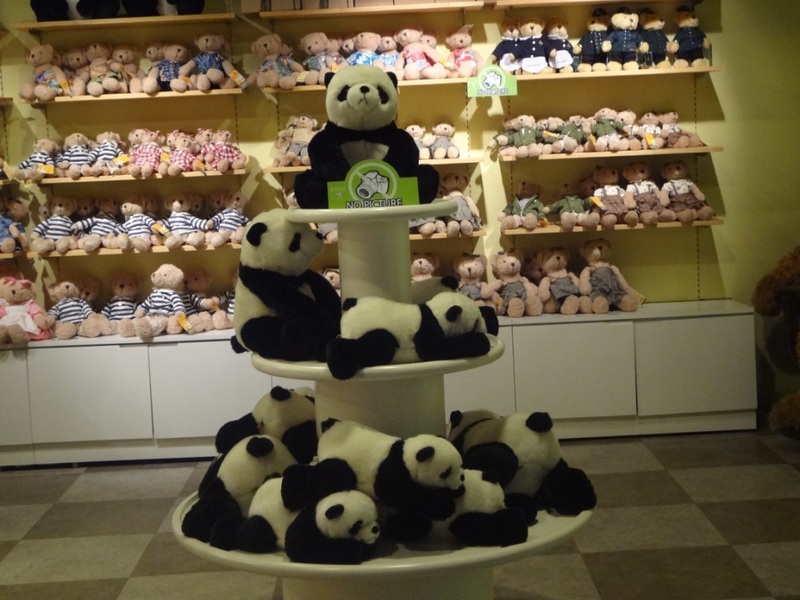 so we were like a bit proud of ourselves for not using any tour guides! :p lol. 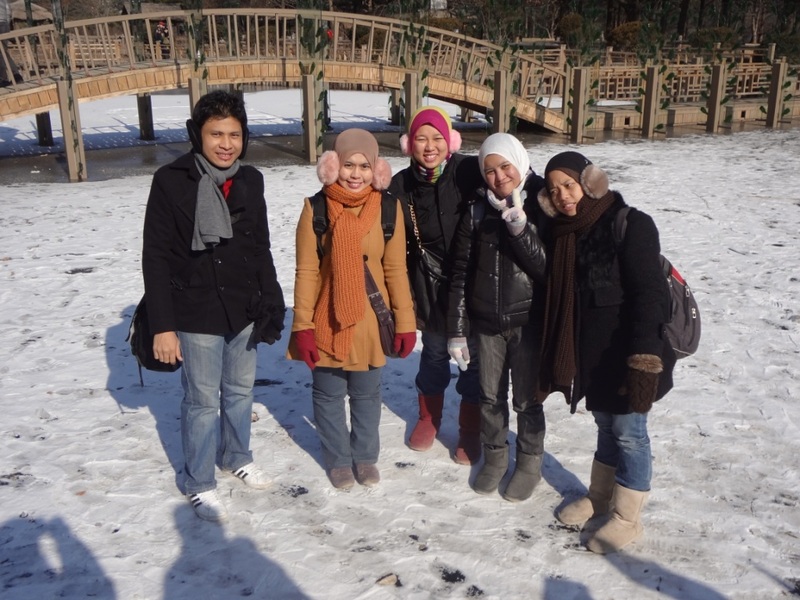 well nami island was really a beautiful place and it should be a-must-go-place in your itinerary. maybe it could be boring for ppl who doesn’t appreciate beautiful sceneries lol. 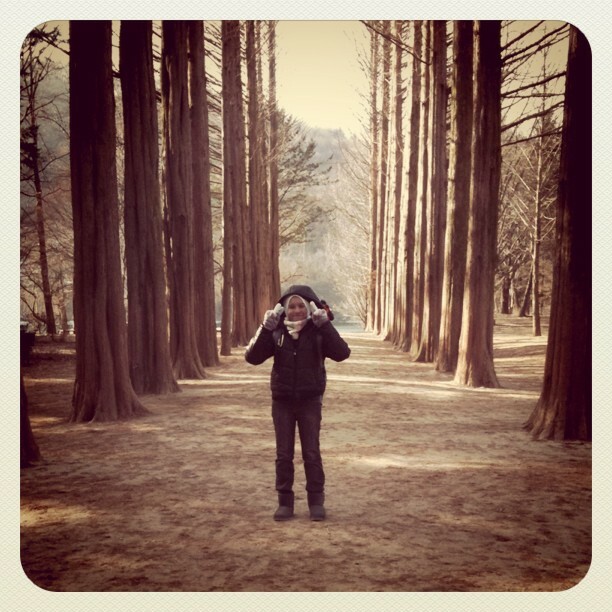 but i still appreciate this place coz of the fact that this is a filming location for winter sonata. 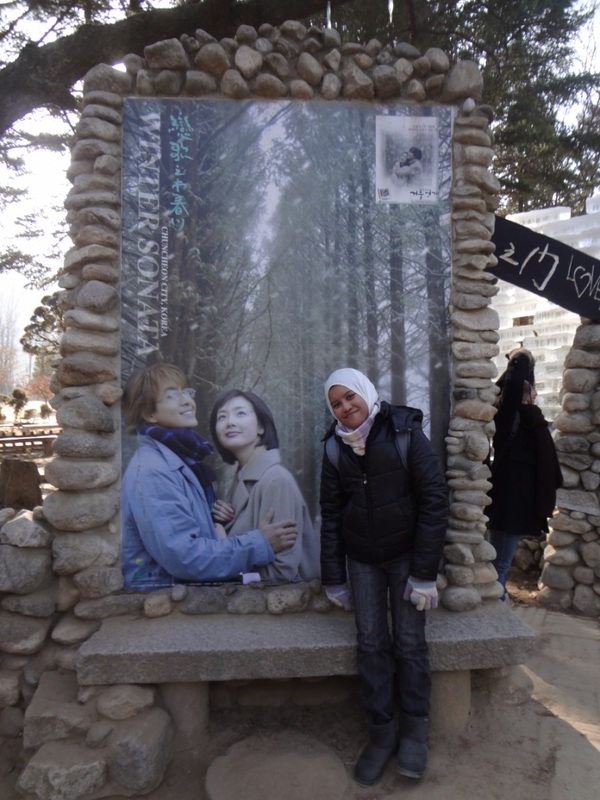 and winter sonata is the first korean drama i ever watched. lol. 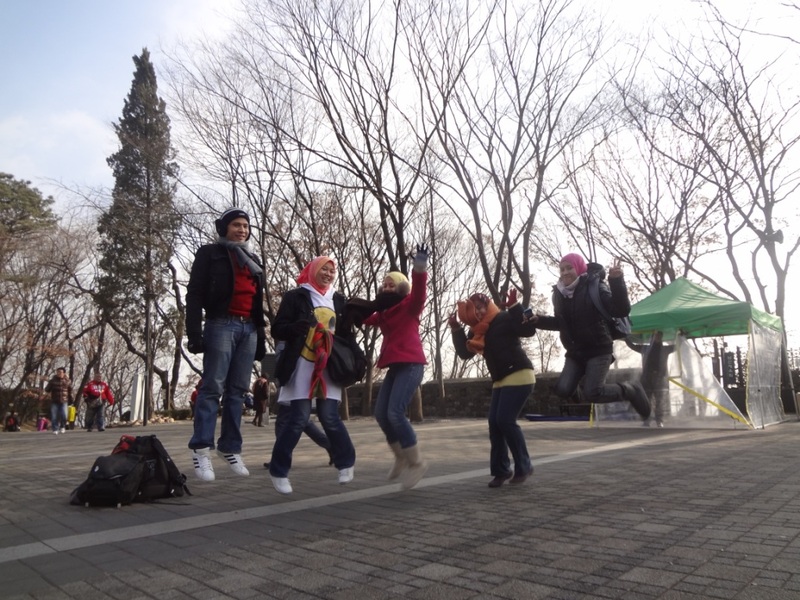 my fail attempt to do a ‘snowing’ post~ lol. 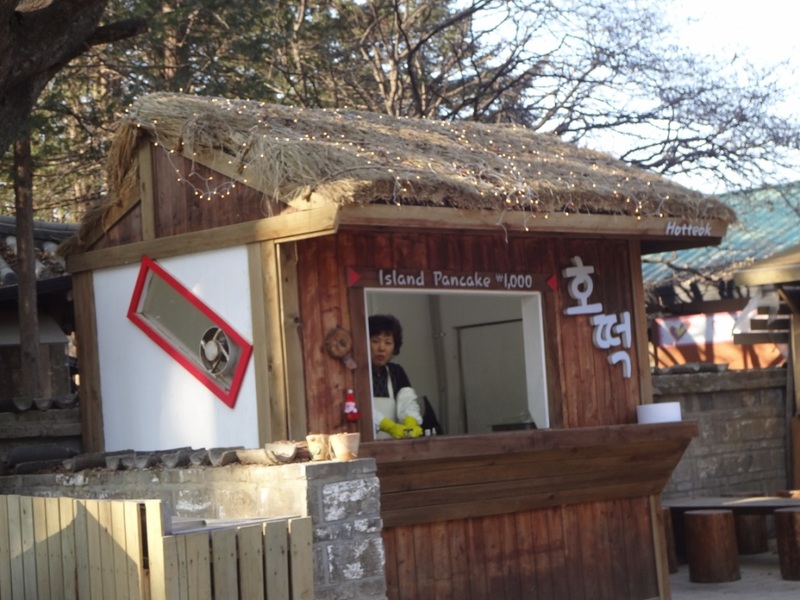 it means ‘happy new year at nami island’ lol. 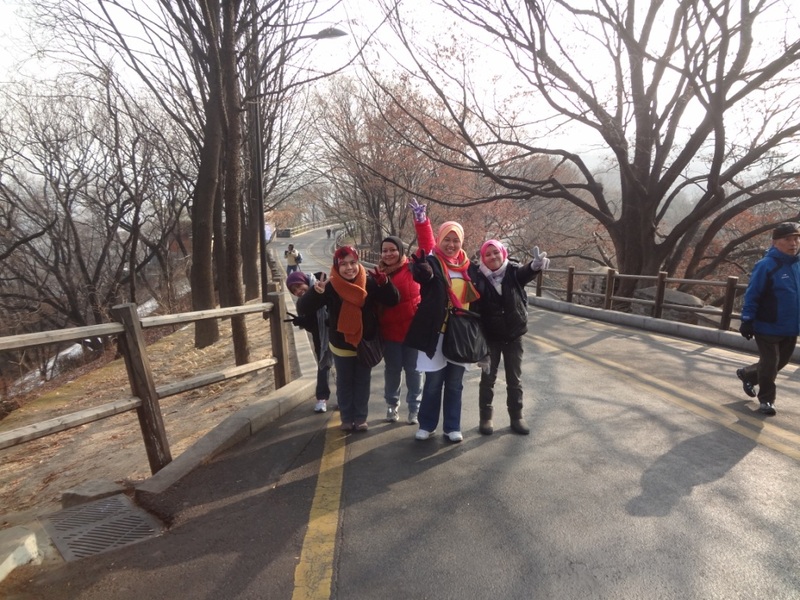 do you really love malaysia, nami island? we had our lunch at drama cafe (yeonga jiga). 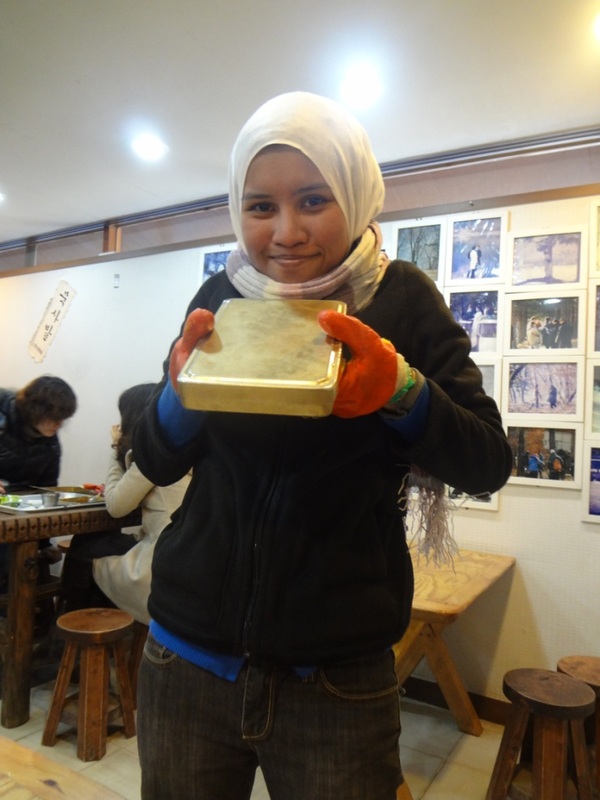 so we bought dosirak (korean lunch box) that costs 4000 won. 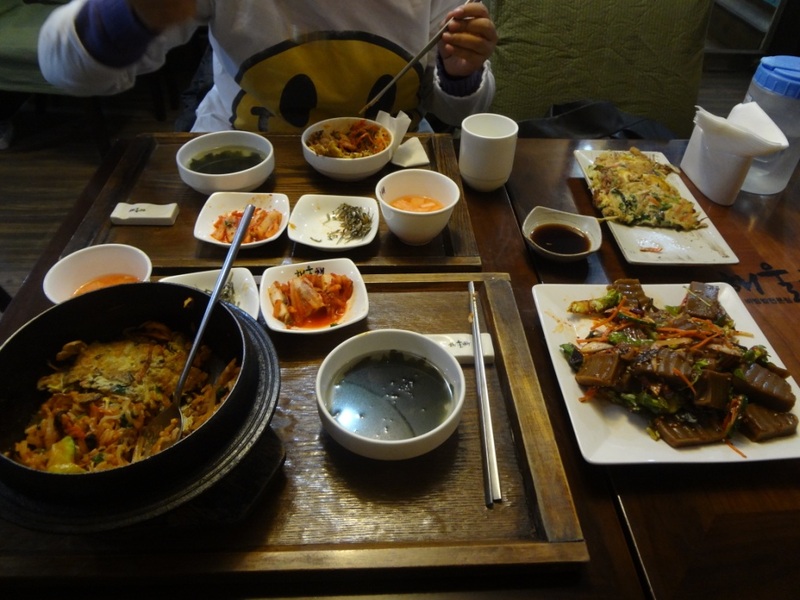 but of course the boys won’t eat any korean foods haha. they brought maggi in cup & bread omg for god’s sake! 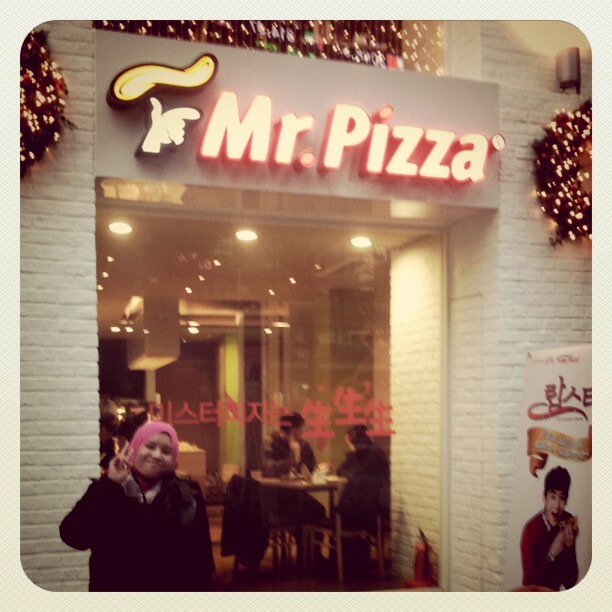 how come ppl can still eat malaysian foods at korea lol idgi. 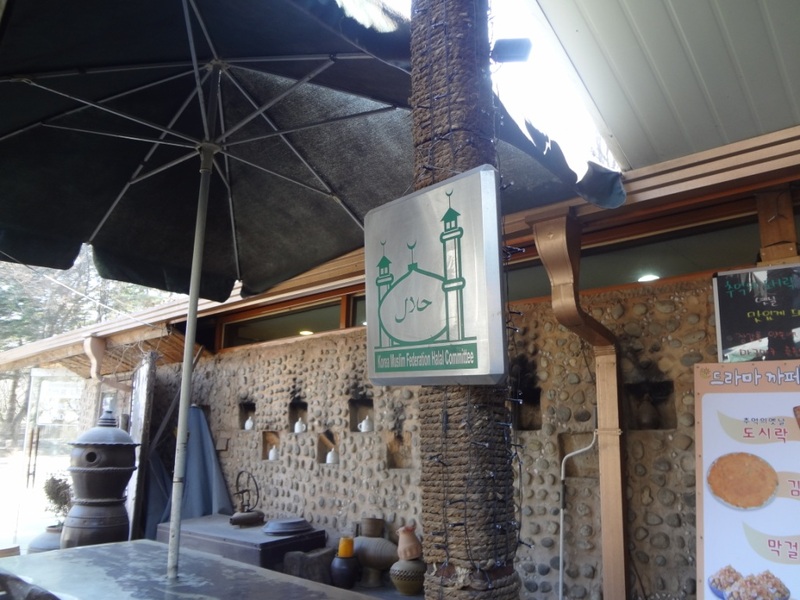 it has a halal certification from korean muslim federation halal committee. 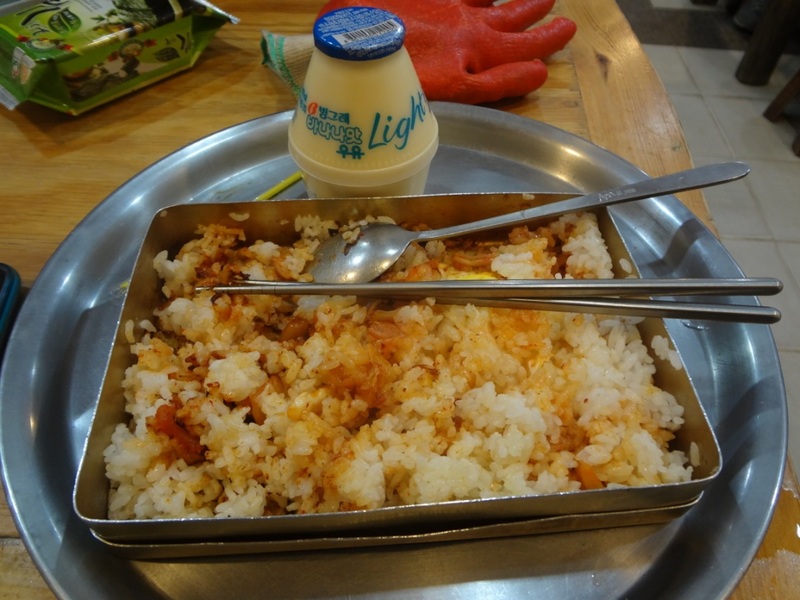 my 4000 won dosirak~ and banana uyu too (bought at the convenience store at mangu earlier) omnomnom! you have to shake the box hardly! lol. 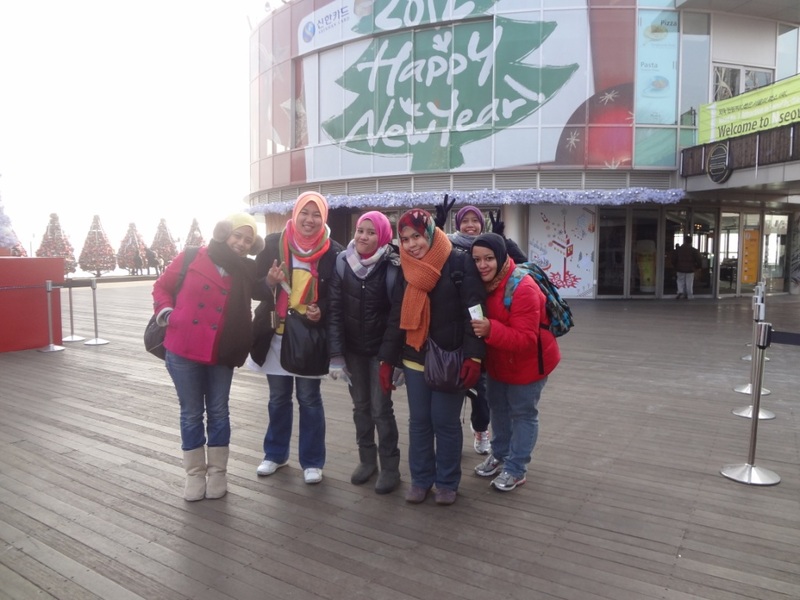 after lunch, we continue our journey to walk around nami and take picturesss! haha. the island is quite big actually OTL. 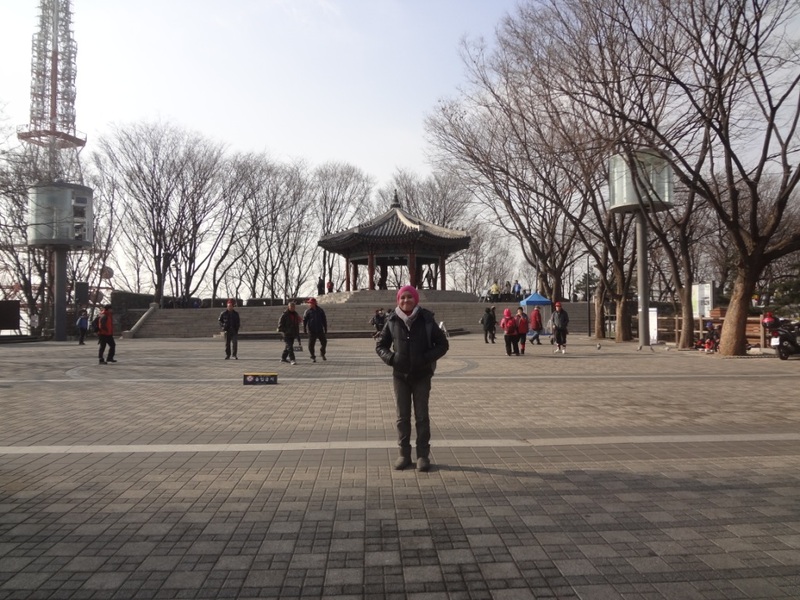 then we went back around 3pm after finished walking around this island. 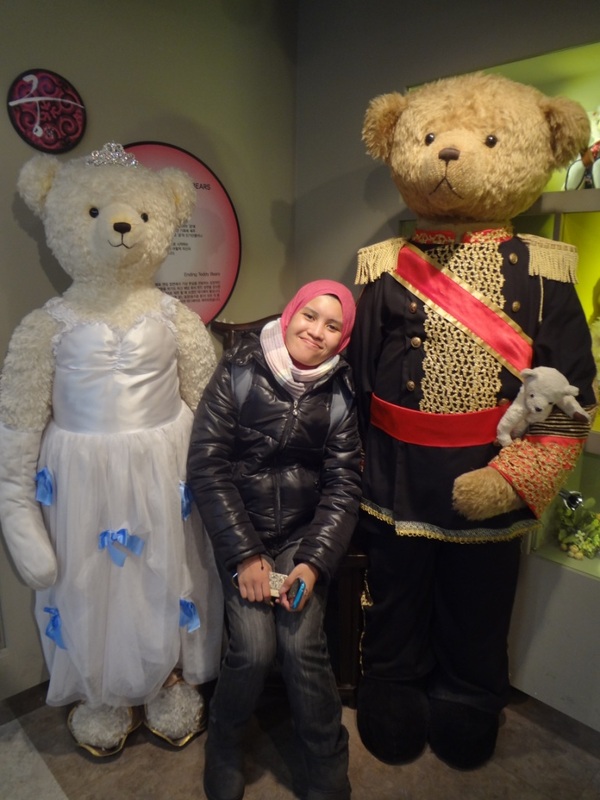 with jun sang & yoo jin~ lol. uploading coz i like this pic haha. erol and his amused face watching …….. idek lmao. 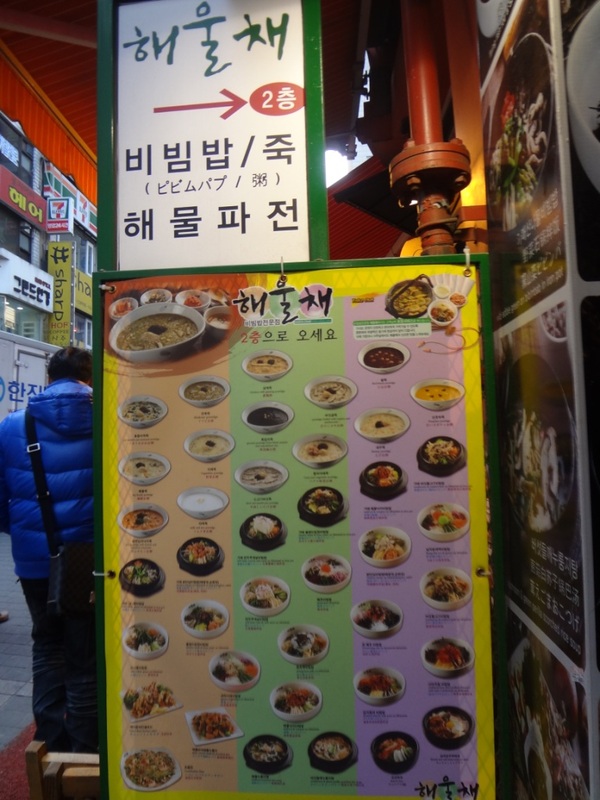 they do sell hotteok here for 1000 won only! nyumm. on the ferry~ jom balik! 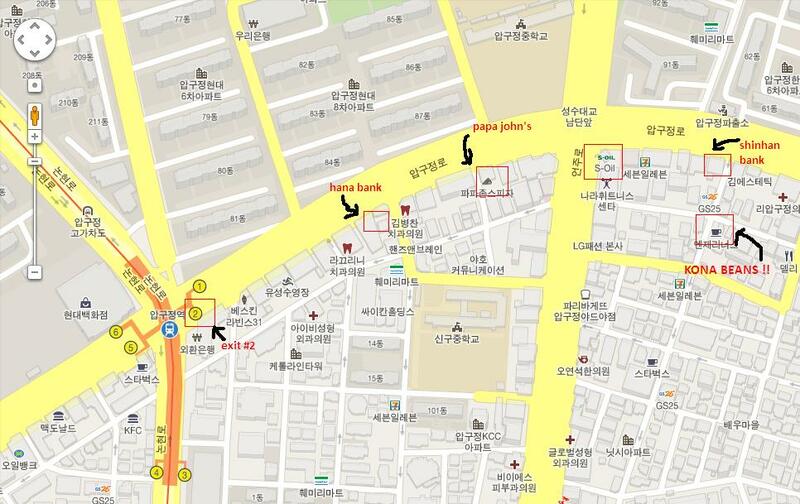 me & anne’s next destination is apgujeong coz she wanna meet her friend, natasha (who is also from malaysia) there. so our plan is to go wherever nat gonna take us lol. she’s quite familiar with this area (heard that she went here almost every night! lol). 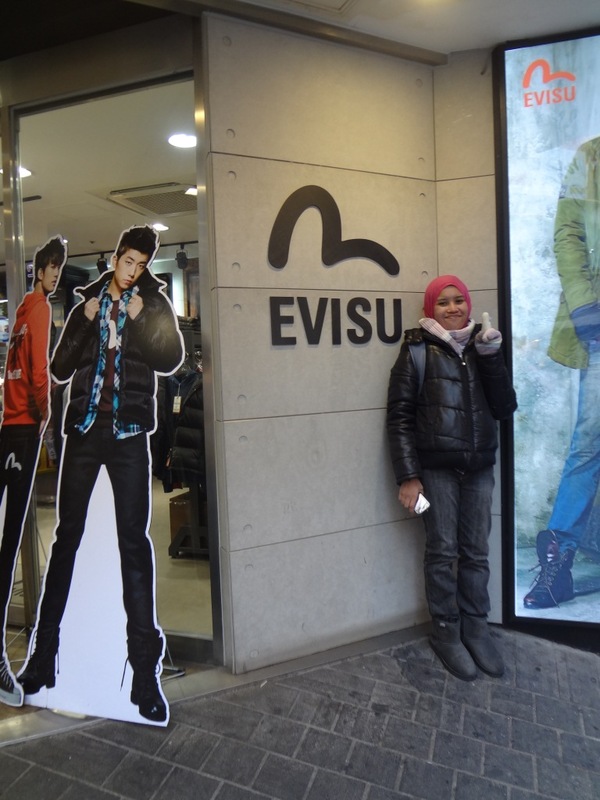 we went to everysing first (didn’t know that everysing has 2 branches kkk) and i bought another donghae’s merchandise (postcards/photocards or something). 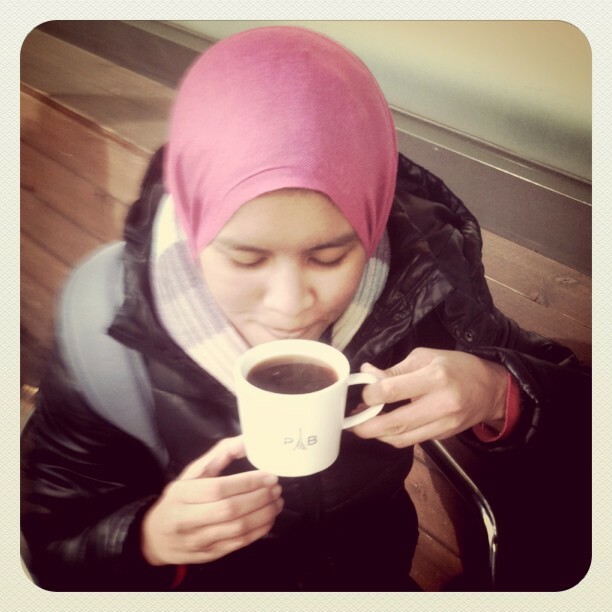 and then.. kona beans !! 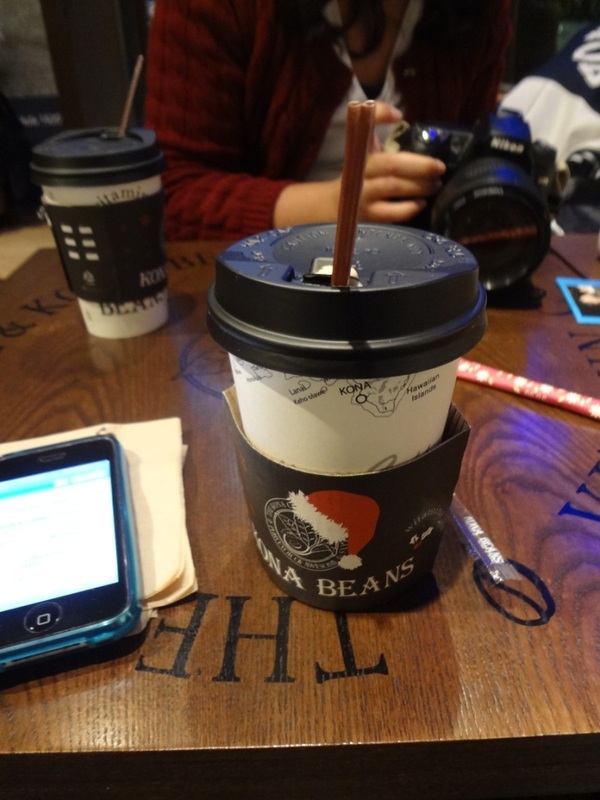 well in case if you didn’t know wth is this kona beans, it’s actually a coffee shop owned by suju’s leeteuk-sungmin-kyuhun mommas *not all kona beans actually, just this one branch at apgujeong hehe*. 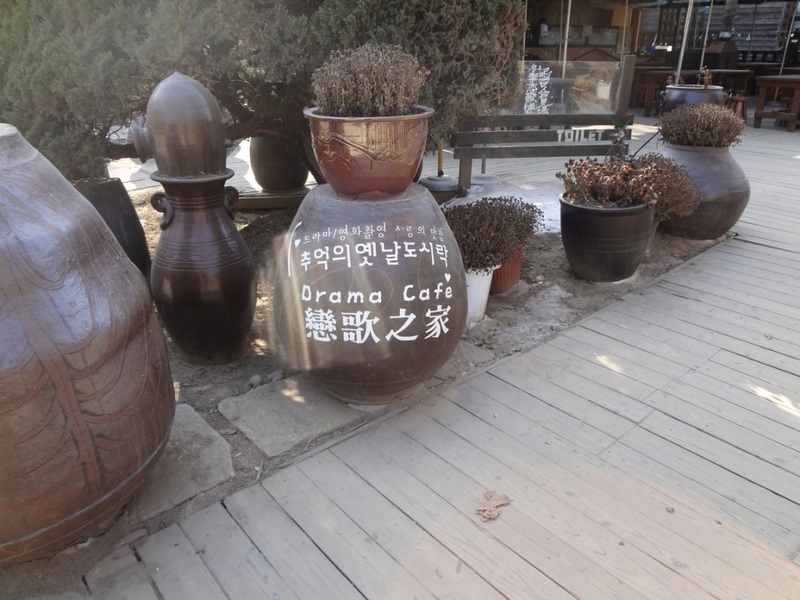 if you’re an elf, this place should be in your itinerary (other than handel & gretel – yesung’s parents cafe). or else, you might consider to resign from being an elf then. loljk. 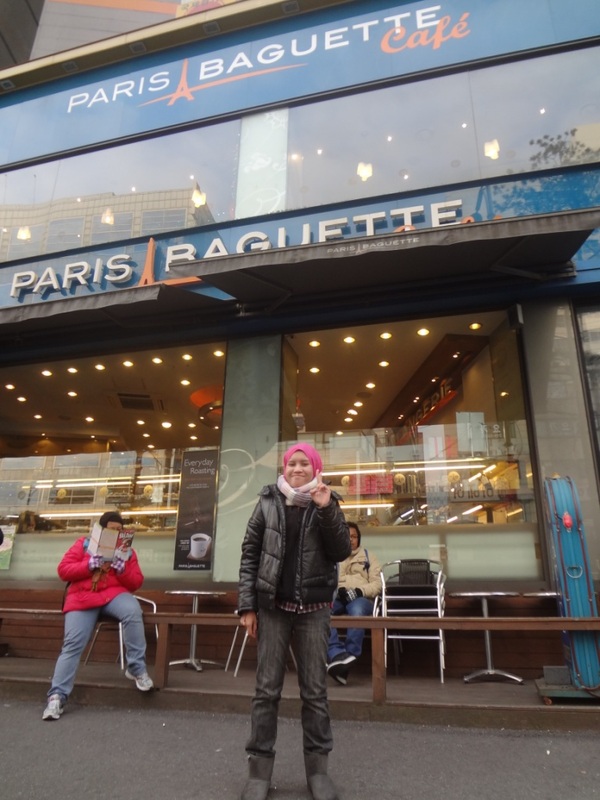 i’m not an elf but i really wanna go here coz.. like come on, you’re in korea but didn’t go to kona beans? /kills self. ok that’s exaggerating lol but tbh it’s a must-go place ok.
ofc we didn’t expect to meet any suju boys there (but sometimes they’ll go there and help around too). 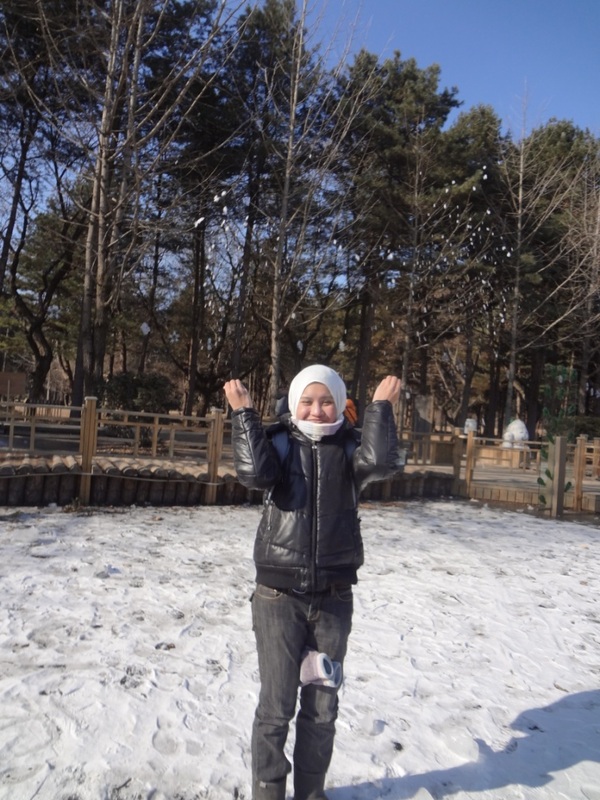 my only objective is to meet sungjin (sungmin’s brother). it should be good enough! kekeke. 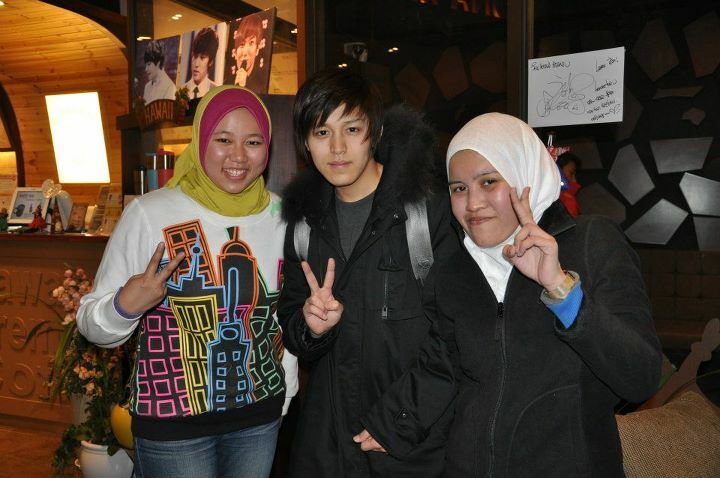 so yeah we met him there (coz he’s working there) and served our coffees hehe. 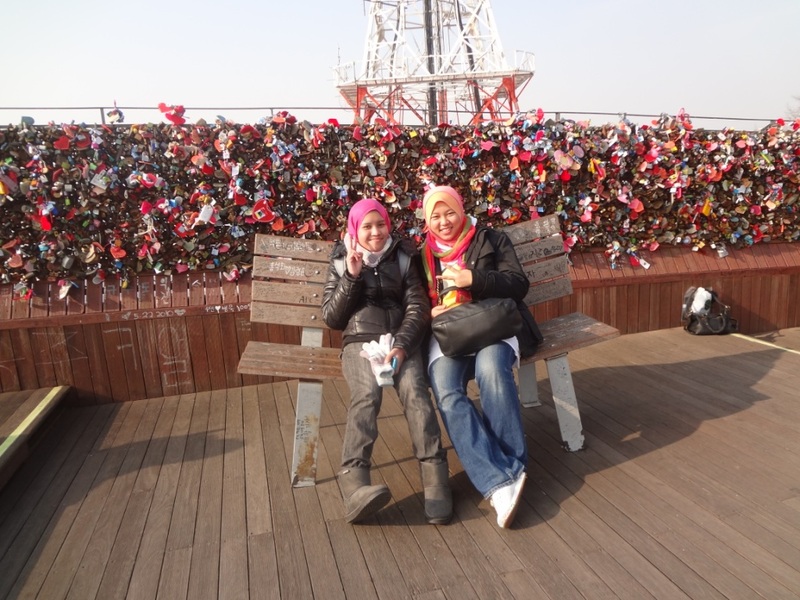 oh and cho ara, kyuhyun’s noona too. and their ommas. and suddenly sungjin wear his jacket and looked like he’s going somewhere. and we decided to take a pic with him before he went out. thanks to nat’s father for taking the pic for us. 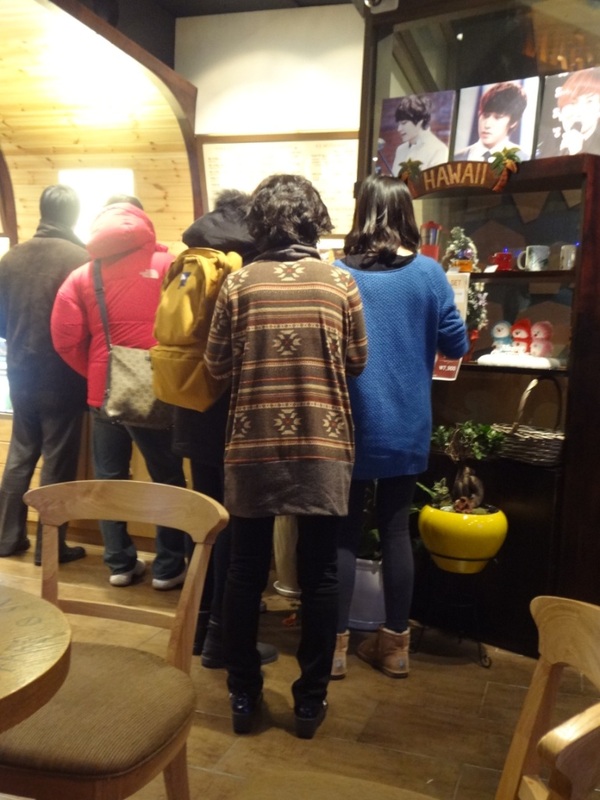 oh btw she dragged her family (mom, dad & brother) along to kona beans too haha this family is so effin cute idek. i dont even remember what did i order. 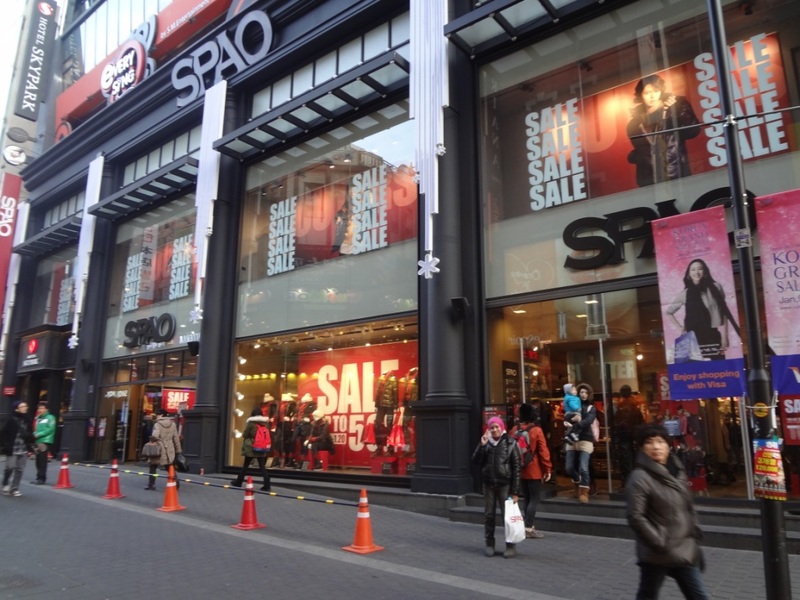 but i do remember that it costs 5300 won lol. excuse my lame paint editing skill lmaooo. 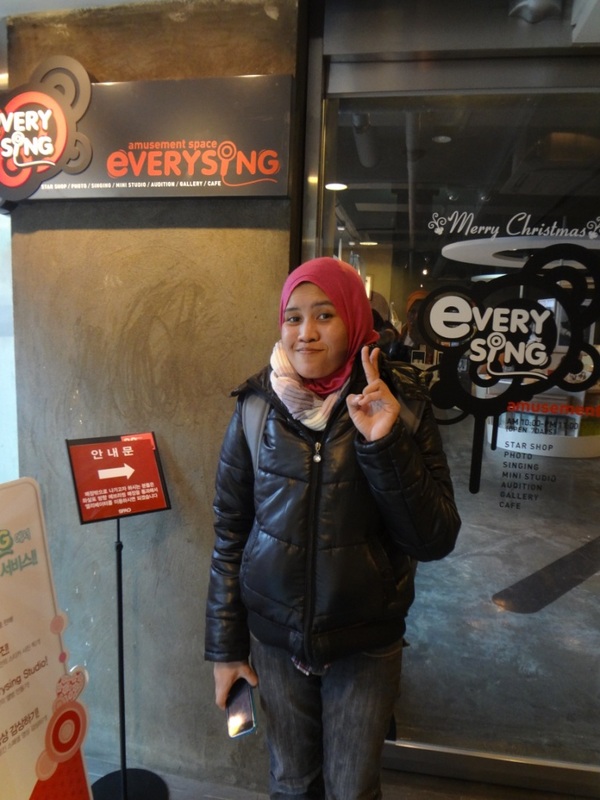 sorry but i don’t really remember how to go to everysing. 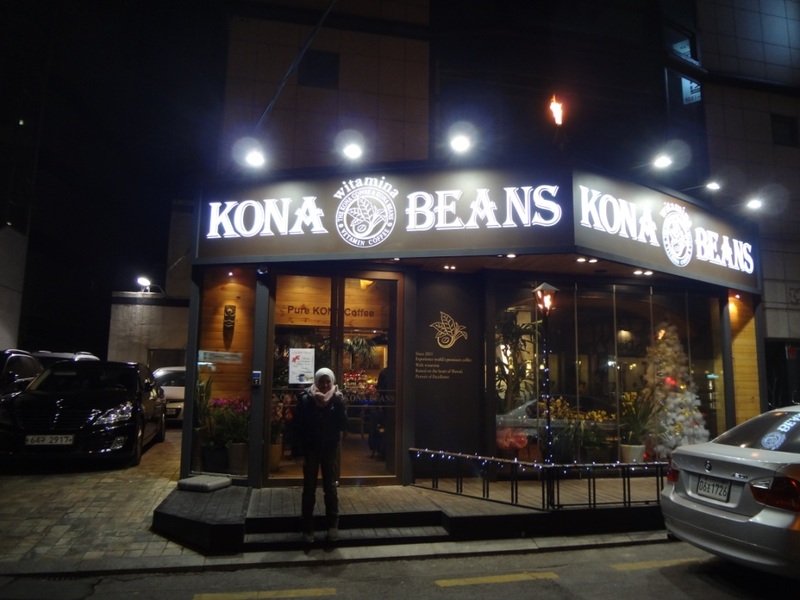 but it’s somewhere near kona beans. then we went back home and i was so effin tired. we slept early that night coz we gonna have another long day tomorrow… which is..
.. pls wait for my day 4 post lol.